The Evo Twist (FE-TWX) Wire Twister is an electrically operated unit for the manufacture of twisted cables in pairs, triples etc. Operation is simple by selecting the number of twists per length required on the LED display and inserting the work piece to be twisted into the special clamping assembly. The work piece is held in the hand at the other end and twisting is started by depressing the attached foot pedal which is supplied by a long reach power cord. 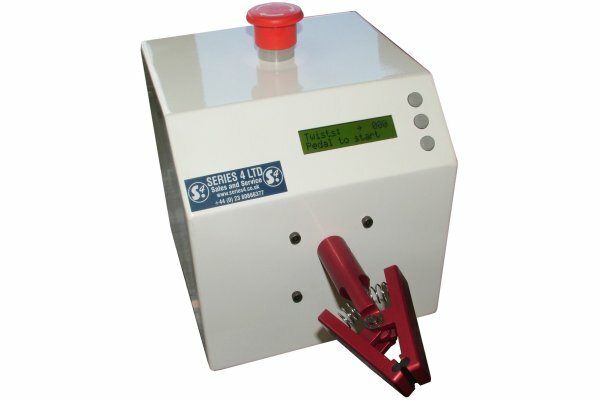 The product video is currently showing the older styled (FE-TWX) Evo Twist Wire Twisting Machine.